Opti-Trim is a revolutionary two part system, to permanently solve the ongoing issue of faded plastic trim. Unlike other coatings that are limited in their lifespan and ability to prevent oxidation, Opti-Trim contains high levels of UV absorbers to help prevent future fading and provide a long term solution. Opti-Trim Protect is a clear, hybrid resin coating to help prevent new plastic trim from future fading due to UV exposure. For new cars, choose Opti-Trim Protect to enhance or maintain the factory appearance of your plastic trim. Opti-Trim Restore is a durable, hybrid resin coating containing special dye additives to restore faded and oxidised trim back to a like new, factory appearance. 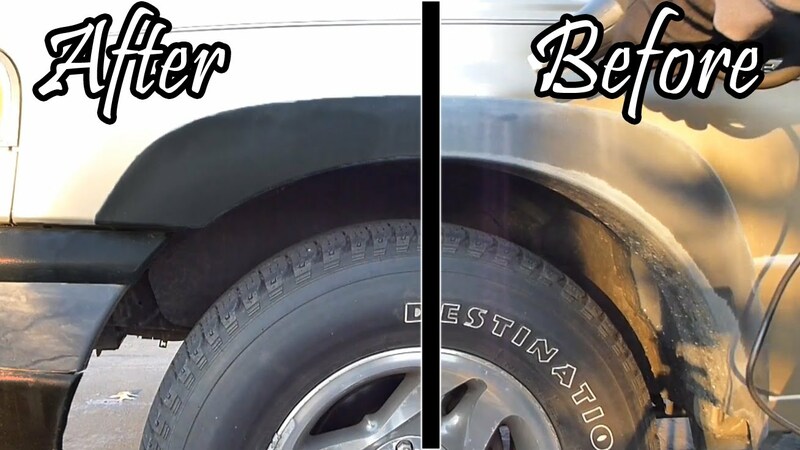 For older vehicles suffering from damaged trim due to UV exposure, choose Opti-Trim Restore to restore your plastic trim back to its former glory. Opti-Trim Restore is absorbed by the plastic surface, giving back the life and colour taken away from long term exposure to UV rays. The Opti-Trim resin at the same time reacts with the plastic, to produce a chemical bond between itself and the substrate. Once cured, the resin is now bonded throughout the surface of the plastic trim to produce a new, durable surface that is highly resistant to UV exposure to maintain the new look.